(We are currently looking for volunteers and leaders who would like to help lead a burrito project in Long Beach. If you’re interested, please email: BurritoProject1@gmail.com Thank you)! This is the successful rebirth of the burrito project in Long Beach. Come join us and make this chapter a success. Come join us on the 4th Sunday of the month. 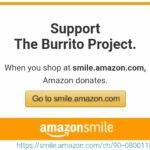 The Burrito Project – Long Beach has been serving the homeless of Long Beach since 2013.